Do it right. It's a big investment that should last for decades. This step-by-step guidance can prevent your getting overwhelmed by the shopping process, plus ensure that you get the system that saves you the most money. The 4 Solar Buying Guides help you with these steps as briefly as possible. Checklists let you track your progress and record your decisions as you read. Additional in-depth information can be found in the Solar Info section of this website. The first step, before beginning to look into equipment, vendors, installers, and finances is to see whether solar makes sense for you. That is what the Solar Buying Guide - Step 1 helps you decide. Only if you decide solar may be of benefit do you go on. Otherwise, you're wasting your time. The Solar Buying Guide - Step 2 then gives the help you need to research and choose equipment brands and models, based on all economic and non-economic considerations. It exposes the facts about PV systems and their effects on your short-term, medium-term, and long-term savings. The Solar Buying Guide - Step 3 helps you find the best local installer for the equipment you've decided on, while avoiding aggravating sales tactics and getting ripped off. Finally, the Solar Buying Guide - Step 4 informs you fully about all the financial aspects of acquiring and paying for a PV system: whether to purchase, lease, or get a Power Purchase Agreement (PPA), and if a purchase, what loans make the most sense. Then you're ready to work effectively with a good installer, get a site inspection and shading study for your house, evaluate quotes, and make your final choice. Only at this point should you consider signing anything. At any time along the way, if you get your electricity from SCE, you can call or email me see contact info in the footer) for free, personal assistance with your shopping questions. Once more, I'm not selling anything; no pressure. I don't reveal any contact information unless you specifically ask me to, and even then only to a single dealer. Optional: Why Is This the Right Way to Shop for Solar? Are you interested in the reasons why this is the best way to do it? If your SCE electricity bill isn't big enough, or if certain unusual factors apply to your house, you shouldn't bother with solar right now. Doesn't it make sense to find that out before you spend a lot of time shopping? And if it does appear worthwhile enough to continue, the next thing you need to decide is what equipment to get, because that determines the vendor/dealer/installer you'll get it from. You wouldn't shop at Chevy dealers if you knew you wanted a Ford, would you? Next, you have to pick an installer, because only they can inspect your house, do a shading study of your roof, and give you a quote worth the paper it's printed on. ​Finally, once you have decided on Whether, What, and Who, you have the figures you need to investigate whether to lease, buy, or PPA, and whether to pay cash or finance with a loan. That's the reason to shop in this order. ​Next, now that you've read these three introductory articles, is to try out the Solar Panel Cost & Savings Calculator. 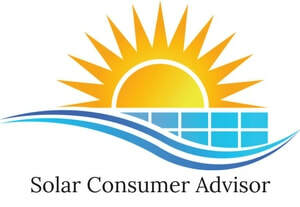 This is the only way for SCE customers to get an accurate idea of what solar will cost and save them. After you quickly use the Calculator, the next step is a free download of Solar Buying Guide - Step 1: Whether Solar Makes Sense for You. This will get you started on the shopping process by yourself.